Investing in your home can prove to be an advantageous task for both your property value and personal enjoyment. Whether you want to upgrade your landscaping or renovate that outdated bathroom, there are plenty of choices for how to improve the household. One strategy that may prove beneficial is purchasing a quality set of front porch building plans and following those details to create a home addition that will provide decades of enjoyment. 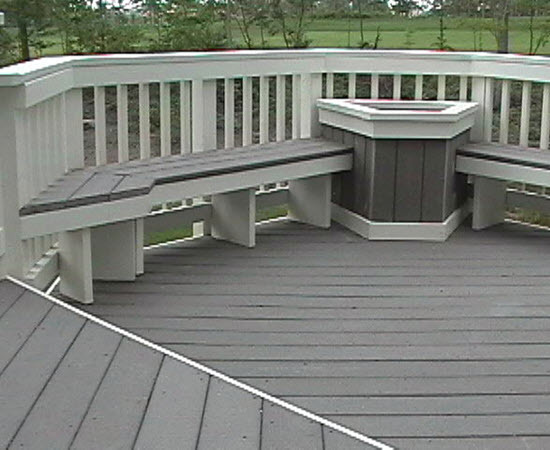 Our Virginia deck company is proud to offer quality plans and designs for custom decks, patios, gazebos, and more. Since 1983, Virginia Decking & Remodeling has worked diligently to provide top-notch services to our clients nationwide, delivering guidance through every step of their home improvement process. 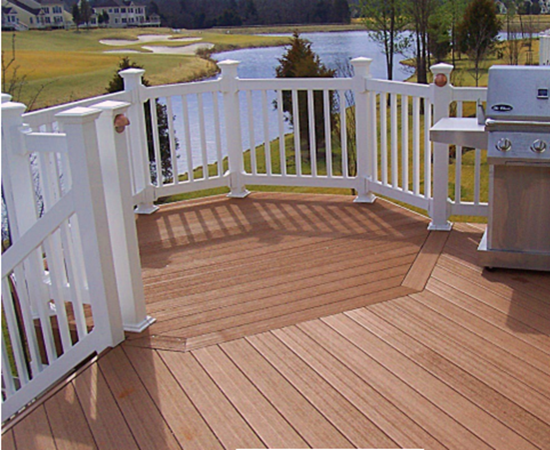 With thousands of references and happy customers, our professional deck builders help Stafford and Spotsylvania County residents to save money while delivering the most quality possible. Our patio and deck designers work hard to craft both standard and custom plans, enabling customers to build confidently knowing they’re working with America’s original decking company. Today, we’ll continue to look into front porch building tips to help in your quest to greatly improve your home on your own terms. If you’re in need of deck framing, design, installation, and more, be sure to contact us for assistance! Porch heights. Based on local building codes, you may need to set your porch a specific distance below the interior floor’s height. This is important for snow buildup and hazards, and also makes life easier when exiting out the front door. If allowed, you can minimize the distance between the threshold to negate tripping concerns. Ledger board considerations. The ledger board is an essential part of your porch because it helps transfer the load of your porch directly onto your home. By attaching one side of your front porch to the home, you are creating a much more stable surface. Sizing. Your ledger board should be the same as your joist material in terms of size. This helps to minimize minor differences when installing the board. Length. One general rule of thumb for appropriate ledger lengths is to take the total width of your framing and subtract roughly three inches. It’s important to allow the end joists to cover up the edges, covering the ledger board in the process. Ledger board installation. One mistake DIY homeowners make when building a front porch is failing to properly attach it to the house. It’s essential that you drill past the sheathing and rim joist and secure the board with the appropriate bolts. In some cases, lag screws can be used in place of bolts. Bolt spacing. Your local building codes may seem like a headache, but in some cases, their rules can make the decision making process much easier. These codes will typically determine the proper spacing for your bolts when spacing them across the ledger board. A general rule that proves adequate when there are no codes is to put ½ inch bolts at 14 inches on center for 10-foot porch systems. If you go up to 14 feet, it’s wise to shorten the bolts to 10-inch spacings to account for flexing and bending with the porch system. The material you choose for your porch stairs will depend on the height of the system as well as your personal preference. You can choose from common stair options such as brick, stone, or wood. One interesting consideration that many people do not mull over before starting their project is the style of your steps’ treads and risers. As is standard in many American applications, your stairs should have a nosing along the steps, creating a larger space for your feet to contact. This is useful for front porch applications where space is limited, as narrower steps with quality nosing becomes a smart choice. Otherwise, you risk people stumbling and tripping off of your awesome new porch system. More grip and space will promote better safety, especially when those snowy days occur. 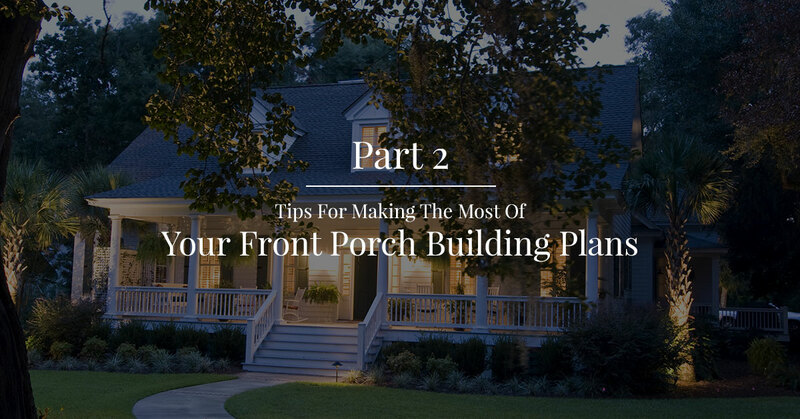 If you are considering installing your own front porch, it’s essential to do so with the proper amount of planning and foresight needed to create a quality product when the dust settles. Taking the time to properly plan and prepare can prove to be very beneficial when compared to costly, unsafe mistakes. Next time, we’ll look into a few more front porch considerations that may prove useful in your quest for upgrading the quality and enjoyment of your home. 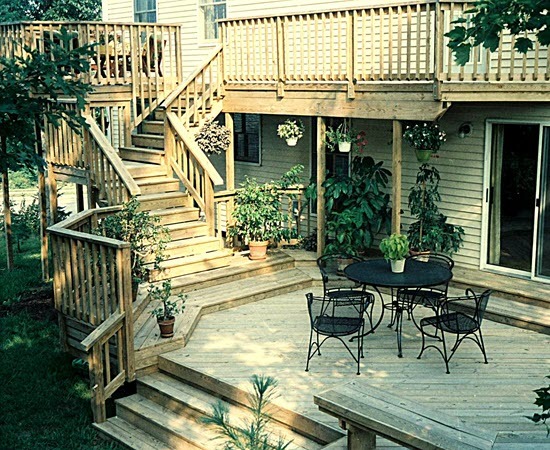 Virginia Decking & Remodeling is more than happy to help by offering our own standard and custom designs for your home. Our porch and deck designers work diligently to create stunning systems that are built to last with quality, affordability, and pride. 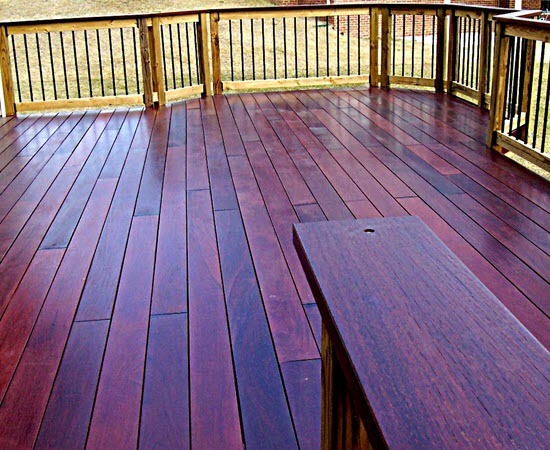 VA Deck’s professional deck builders in Fredericksburg are also available to help create the perfect outcome for your property. For more than two decades, we have worked diligently to create sensible, stunning front porches and more for our happy customers. Contact us today to see how we can help with your project!